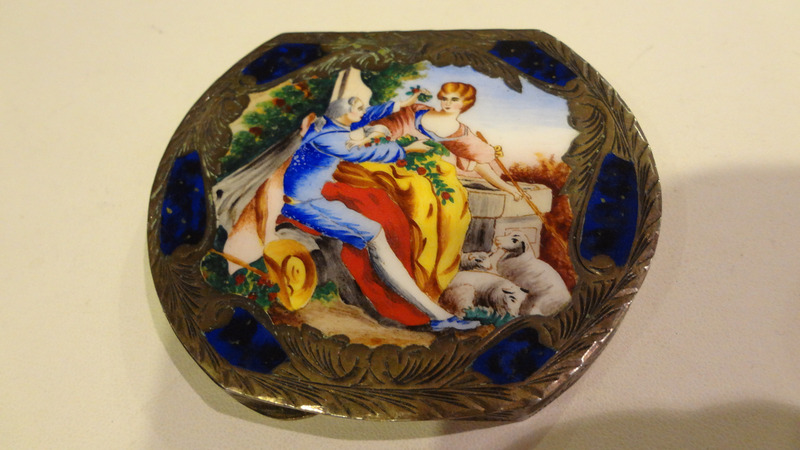 This is a vintage enamel compact with a stunning romantic sceene!!! It measures 3 in by 2 3/4!!! I dont see any markings on it..just needs a good cleaning. It is a beauty!!! I was away on vacation..anyone with any order not recieved..you will shorty recieve them. Thank you again!!! bid with confidence. Have fun and happy bidding!!! No reserve!